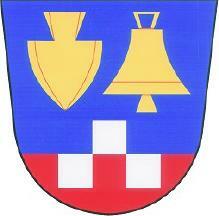 Flag and coat of arms of Chudčice (Brno-venkov, South Moravian region) are at this website. Adopted 15 May 2002. But note that the proposals were approved by the municipal community (2002) and not yet formally granted (at least there is no info about it).